Murli Manohar Joshi spoke on the 81st birth anniversary celebration of late journalist Prabhash Joshi at the Satyagrah Mandap, near Rajghat in New Delhi. 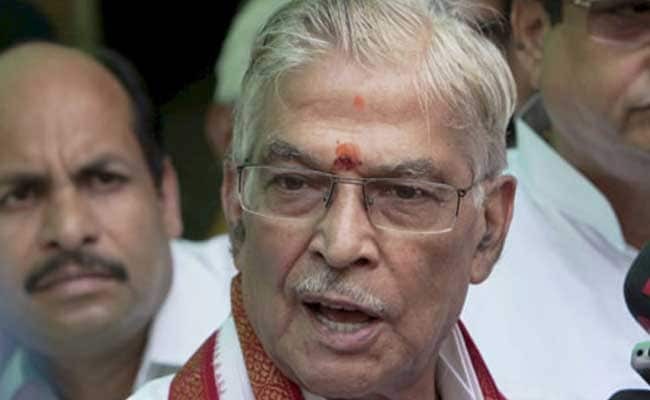 Technology has entered society like a parasite and is a threat to humanity in several ways, senior BJP leader Murli Manohar Joshi said on Sunday. Speaking on the 81st birth anniversary celebration of late journalist Prabhash Joshi at the Satyagrah Mandap, near Rajghat in New Delhi, the lawmaker from Kanpur said with advancement in technology, humans are getting trapped in computers. "Technology has entered our lives so much that we cannot get rid of it no matter how much we try. Technology is very magical. We are going into space, finding life on other planets, progressing in medicine, artificial intelligence etc. Question arises that on one hand we are going towards these things but we humans are also getting closed in a computer. Technology is like parasite," he said. While addressing a large gathering at the event, which is organised in the memory of Prabhash every year, the politician threw light on the misuse of information and companies making money out of this data. He also referred to Aadhaar being the newest form of data collection. "It is a world of data. A company pays billions to get data about people. In elections earlier, people used to visit households and talk. Now everything is on mobile. Experts are consulted before speaking in a particular area as the have the data of the people there. Aadhaar is the new technology which takes all your information. Human identity has now become a number. Earlier it was the name and address of a person which he identified with. Now your identity is your bank account number, Aadhaar number, phone number etc.," he said. He further said technology was being misused and dependency on it was increasing and harming society. "People rely on everything 'Google' says. Judges also give judgement using 'Google'. Teachers use it. It is an era of techno-savvy education. There is a lot of reliability and dependability," Dr Joshi said. The event was also attended by former comptroller and auditor general TN Chaturvedi and several activists and scholars gathered to celebrate the memory of the late journalist. The programme began with a short film on his life and works elaborating on his contribution to the field of journalism as the founder editor of Jansatta. A trust has also been established in Prabhash Joshi's name.